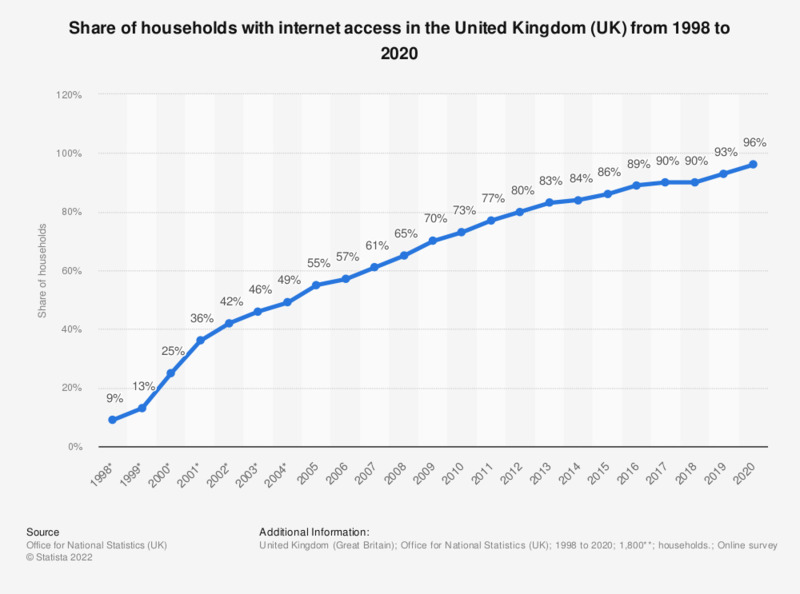 This statistic displays a timeline of household internet penetration in Great Britain from 1998 to 2018. In 2018, 90 percent of households had internet access, up from 9 percent in 1998. * UK estimates from 1998 to 2004. GB estimates from 2005 on.